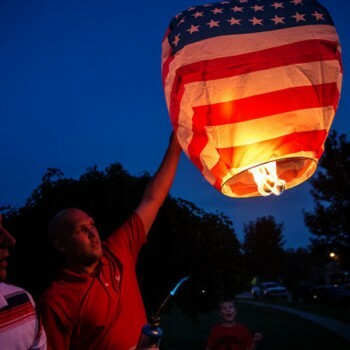 One Themed Chinese Sky Lantern (American Flag). Biodegradable and safe for the environment. Full instructions included. How much is this in my currency? 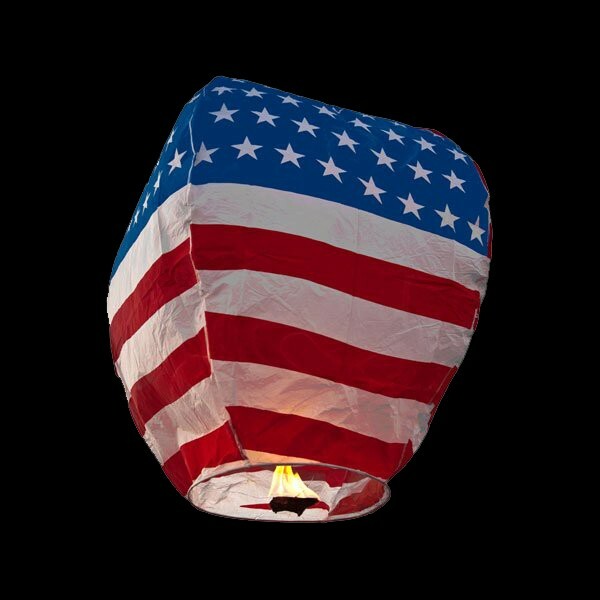 We offer a vast range of Themed Chinese Wish Lanterns manufactured by the Chinese Sky Lantern Company. 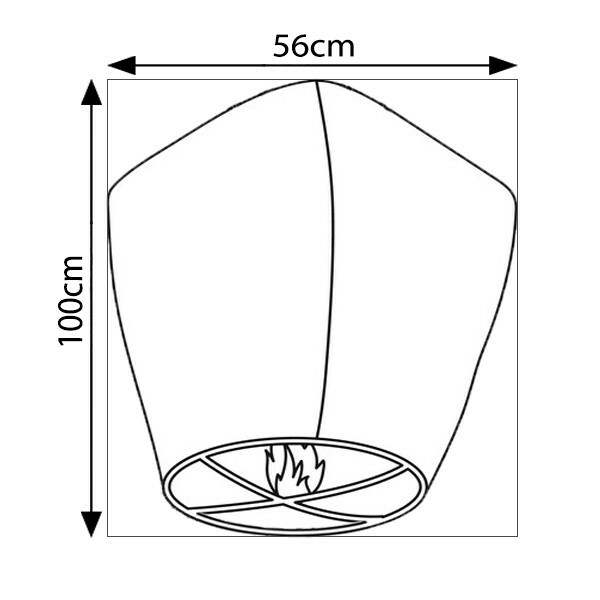 These authentic Chinese Khoom Fay (Sky Lanterns) are 100% Biodegradable and the paper used is Fire-Retardant. This product is perfect for Weddings, Birthdays, Ceremonies, Corporate Events, Firework Displays and Party Celebrations. IMPORTANT: Two adults are required to light Sky Lanterns successfully. Full instructions of how to use and light are printed directly on product packaging.